Buy NOW as we have just 7 in stock with no possibility of getting more. 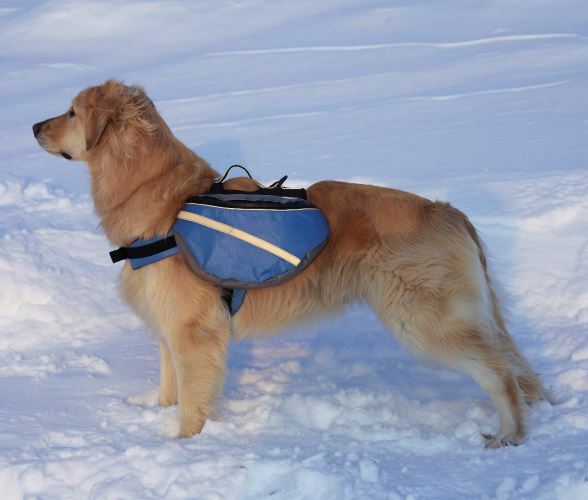 This Dog Backpack Extreme Outdoor Gear by Sierra Dog Supply is durable construction that includes tough, Duraflex buckles. 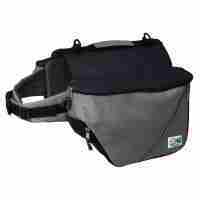 The saddle bags expand and collapse as needed on this quality made Dog Backpack Extreme Outdoor Gear. The design includes reflective piping, striping and printing for extra safety. 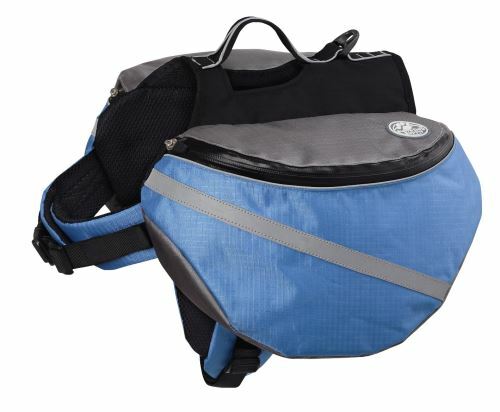 The material is durable water-proof nylon and has sturdy water-proof zippers. The Dog Backpack Extreme Outdoor Gear features an ergonomic fit throughout, with quick assist handle, roomy bags, and interior mesh for comfort. These Extreme Outdoor Gear EX Dog Backpack Extreme Outdoor Gears are full of added features that will make your outdoor adventures fun and safe. Medium and large sizes have 2 belly straps for added comfort and stability.